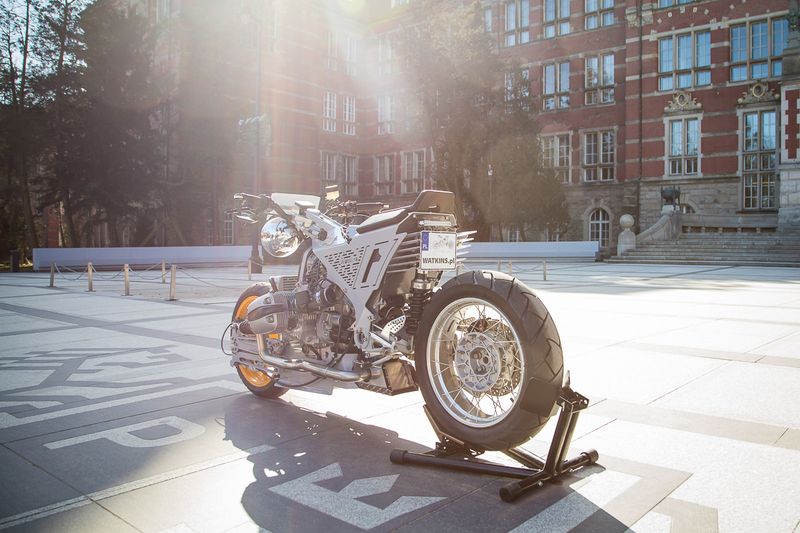 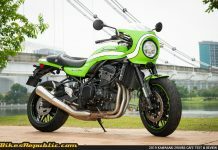 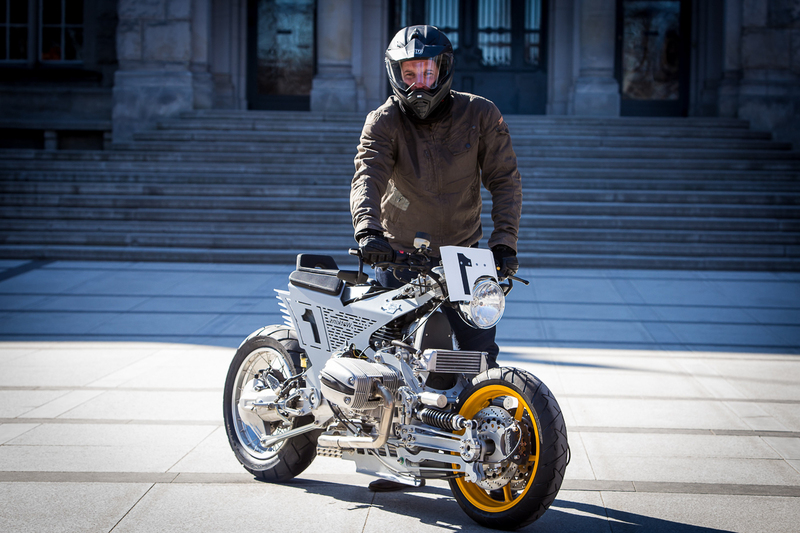 Jack Watkins is the person responsible for the Watkins M001 custom bike. 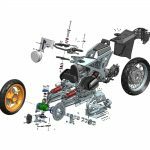 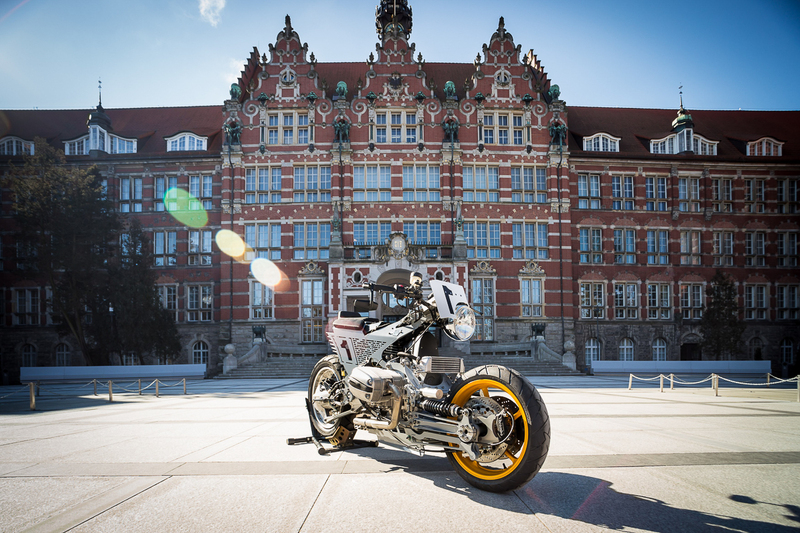 The Gdańsk University of Technology lecturer with a PhD in mechanical design took four years just to design the front end. 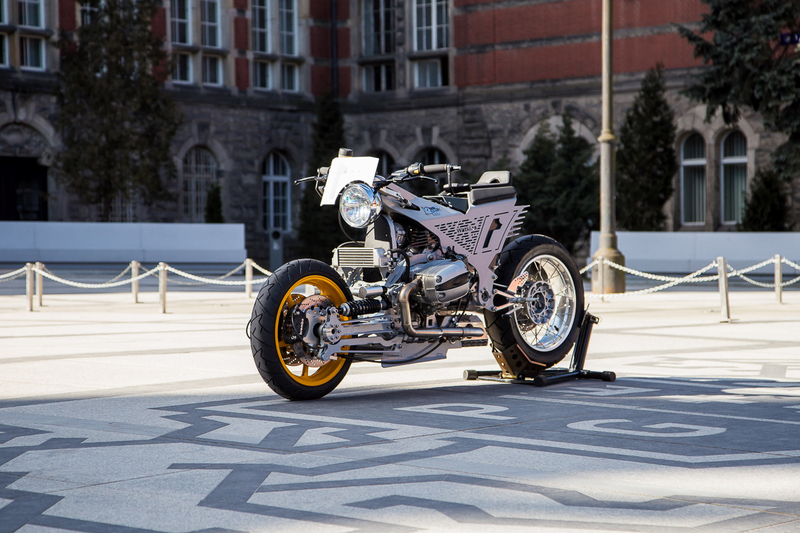 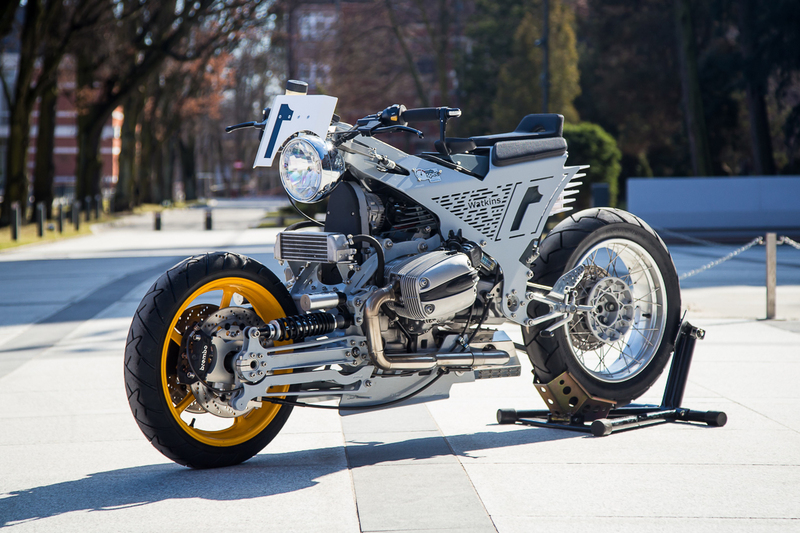 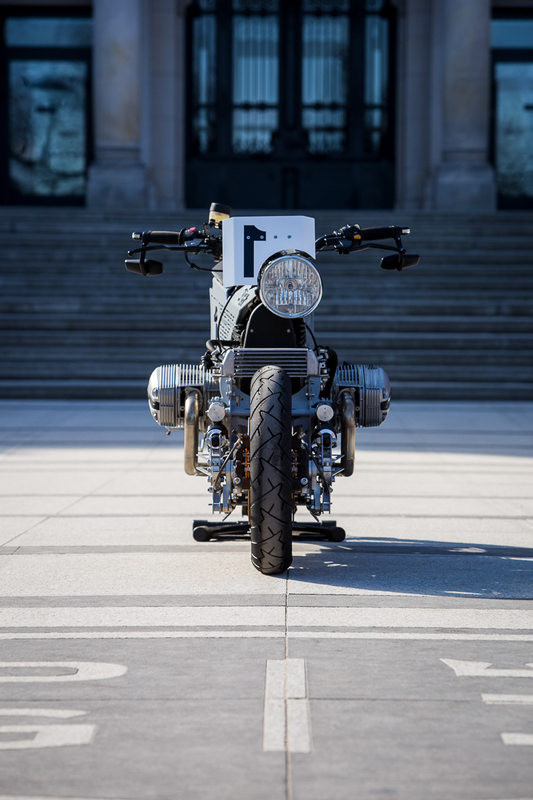 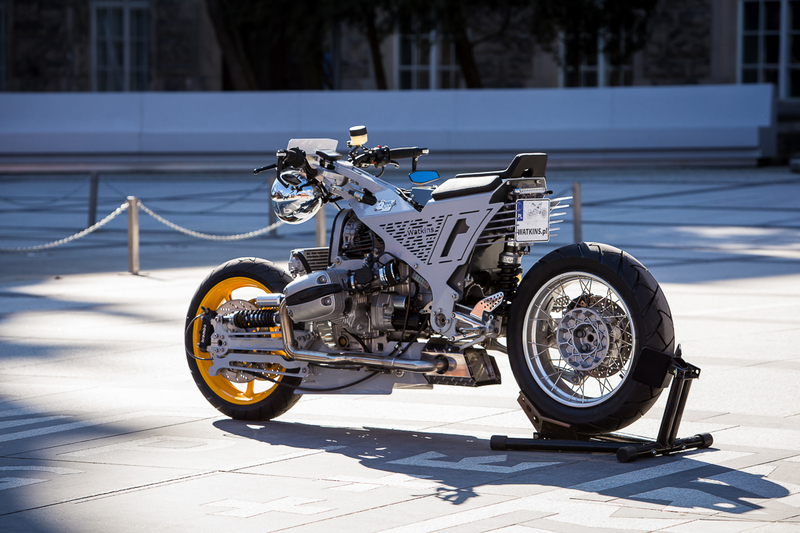 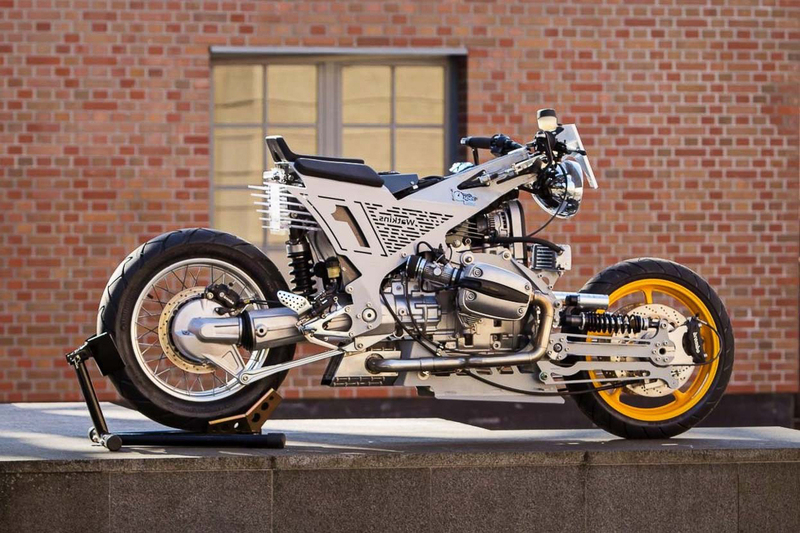 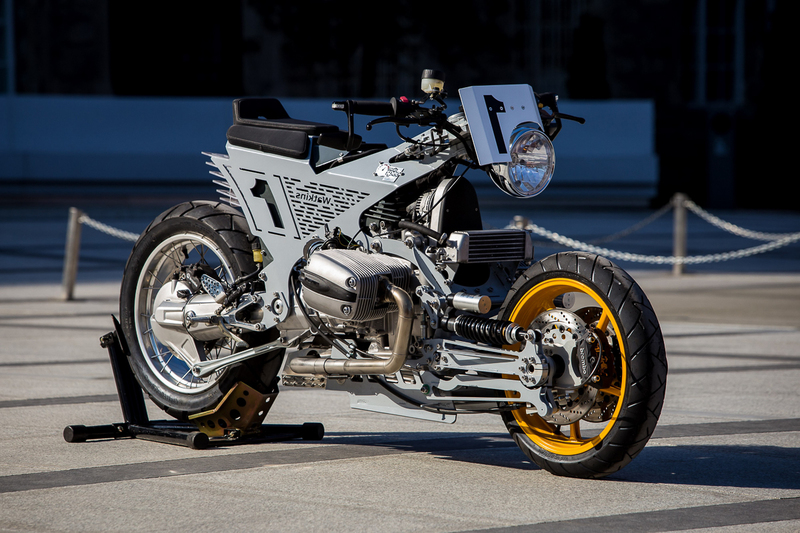 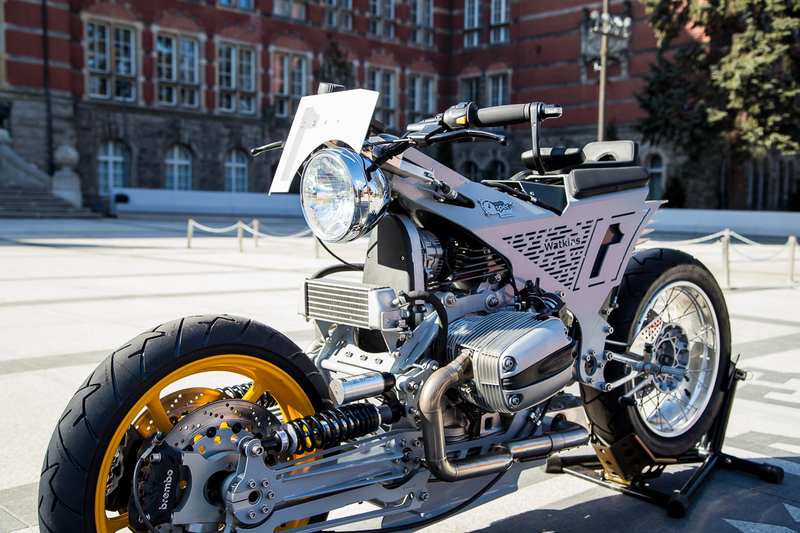 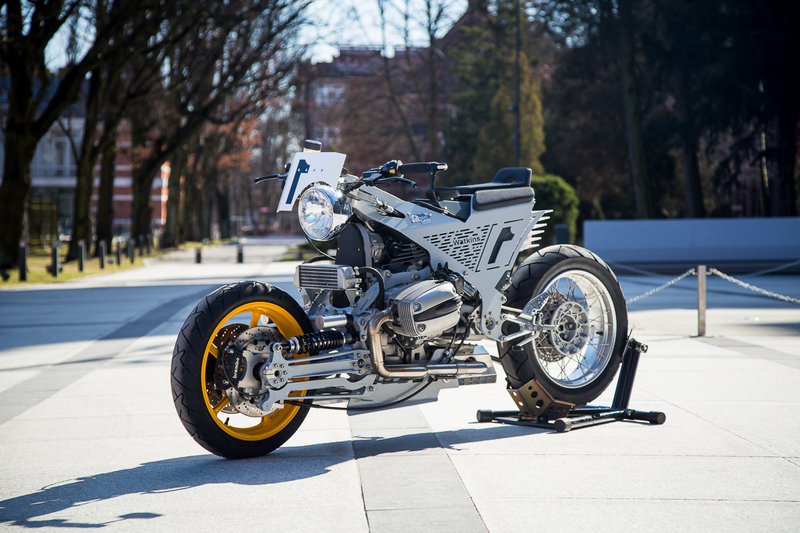 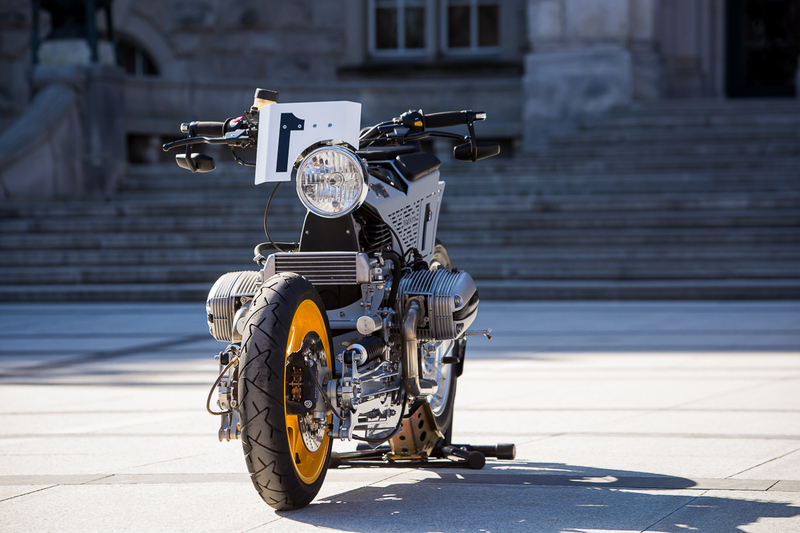 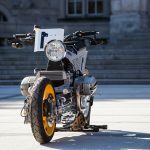 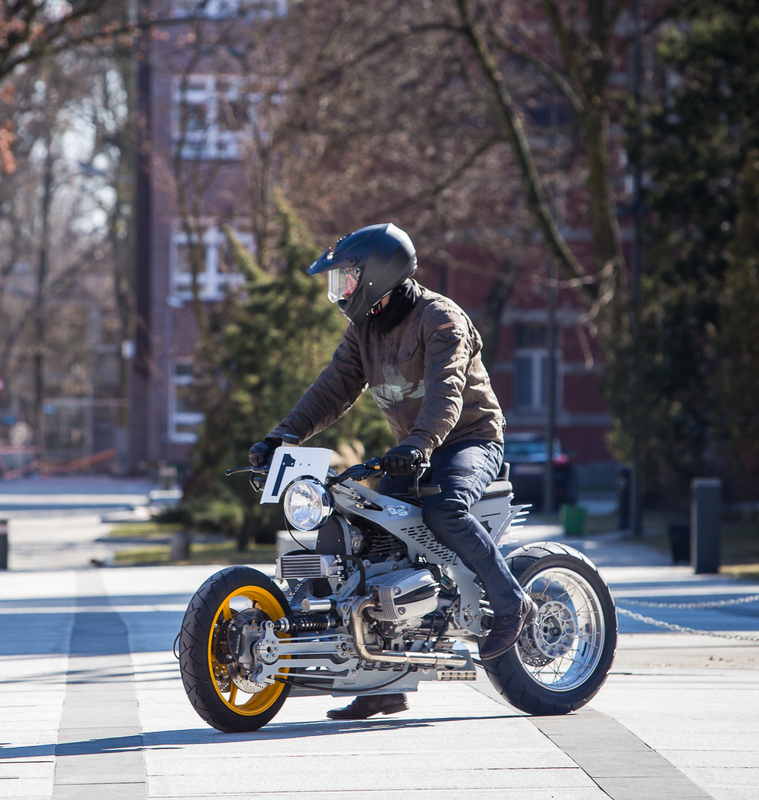 Powering this technological marvel is a BMW R 1150 RT engine from 2002. 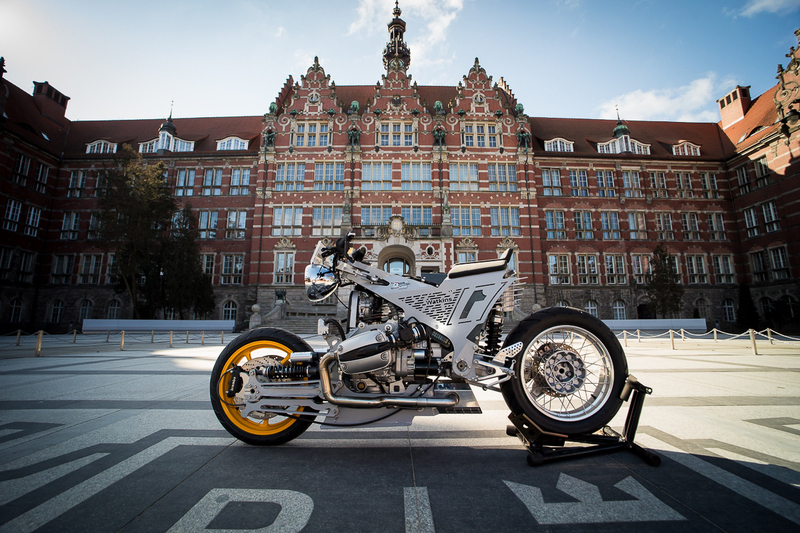 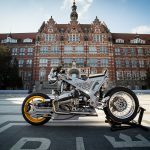 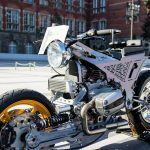 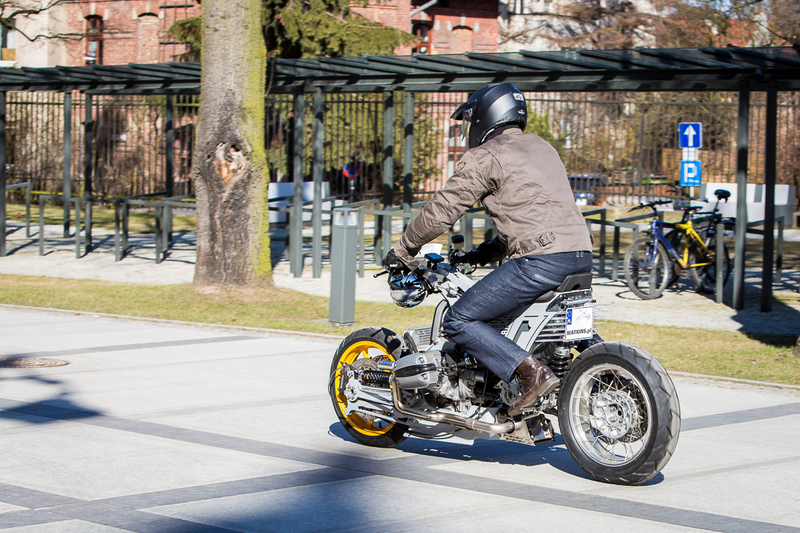 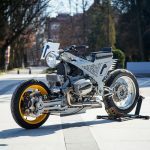 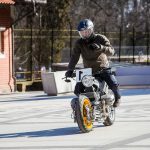 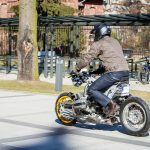 What happens when a fella with a PhD in mechanical design who works for a Polish industrial firm and also a lecturer/researcher at the Gdańsk University of Technology decided to build a custom bike? 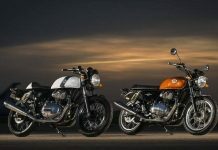 The end result is the Watkins M001 and an endless supply of dropped jaws on the floor. 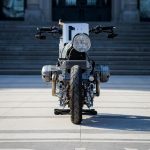 After years of breaking down the essence of design, mechanical and advanced fundamentals of how motorcycles work plus where it should lead into the future, Jack Watkins gave birth to the extravagant Watkins M001 which started out life as an idea wrapped around an air-cooled BMW R 1150 RT engine. 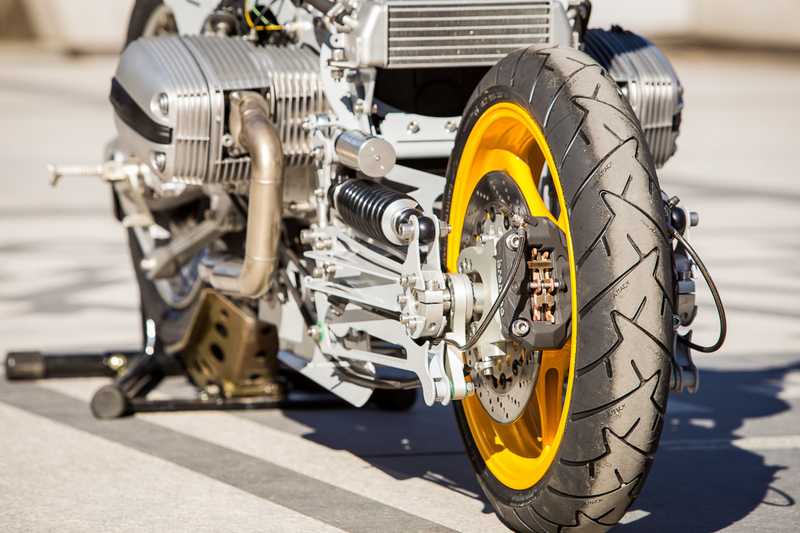 The hub-centre steering design alone took four years to accomplish but the result is nothing short of spectacular. 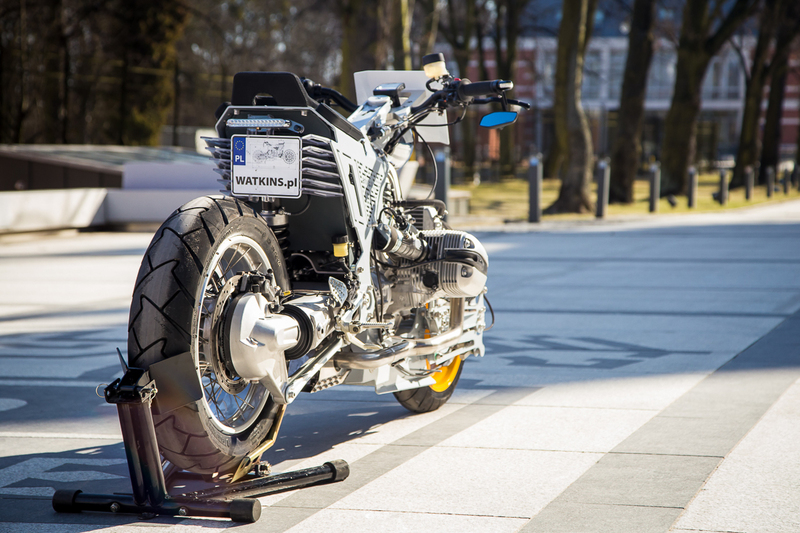 With the help of Mateusz Kozlowski from Moto Spec in Gdańsk, almost everything is custom made to perfection in order to bring Watkins’ vision to life. 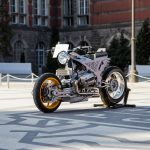 Hundreds of components had to be made in order to get the Watkins M001 to perform as how it should. 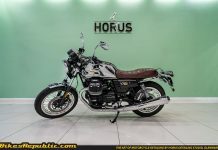 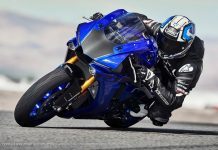 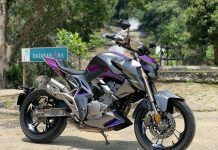 Some parts were sourced and then customised afterwards like its R 1150 RT engine from 2002, rear shock, GS rear wheel, and Yamaha XJ6 front wheel with a milled hub just to name a few. 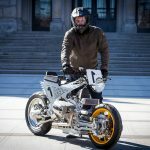 Looking at the main chassis, Watkins went for two sheets of laser-cut steel and basically bend them into place. 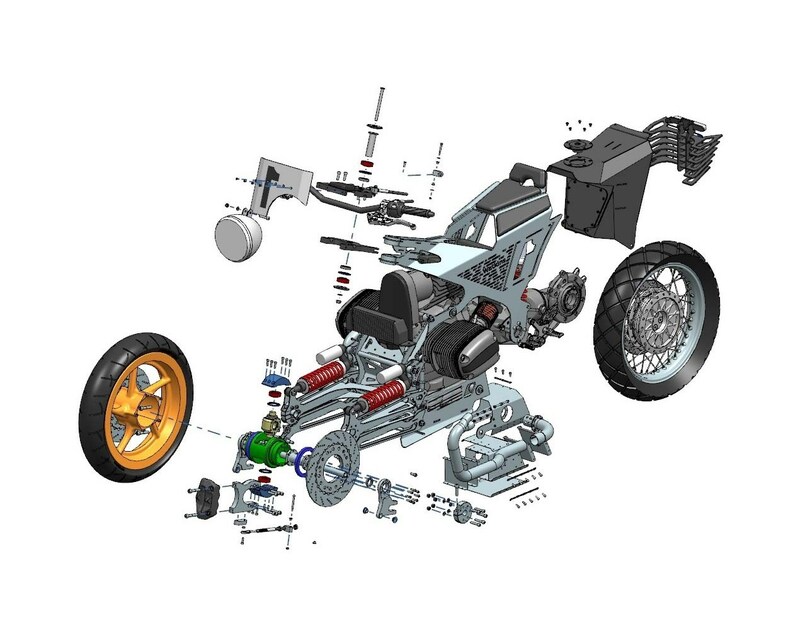 Thanks to his specialised skills in 3D technology, Jack was able to achieve some very impossible tasks like getting the engine mounting points right and manufacturing his own jig to weld everything together. 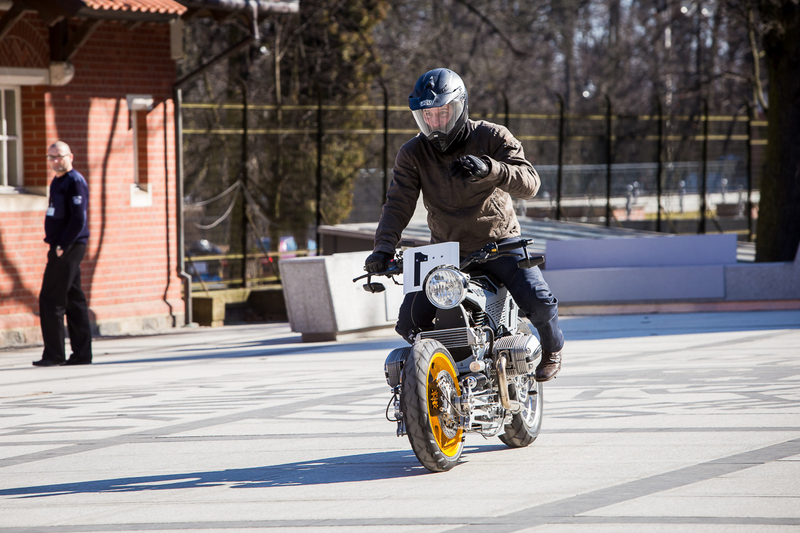 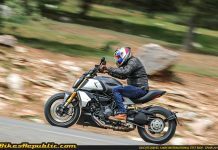 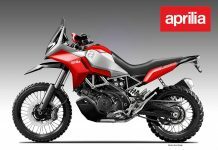 A 16-litre fuel tank was also a huge challenge in making sure everything fits perfectly in the bike’s dimensions. 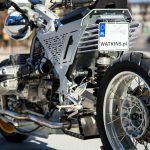 Major considerations on weight distribution were also thought of as Watkins wanted the bike lean more towards its rear end. 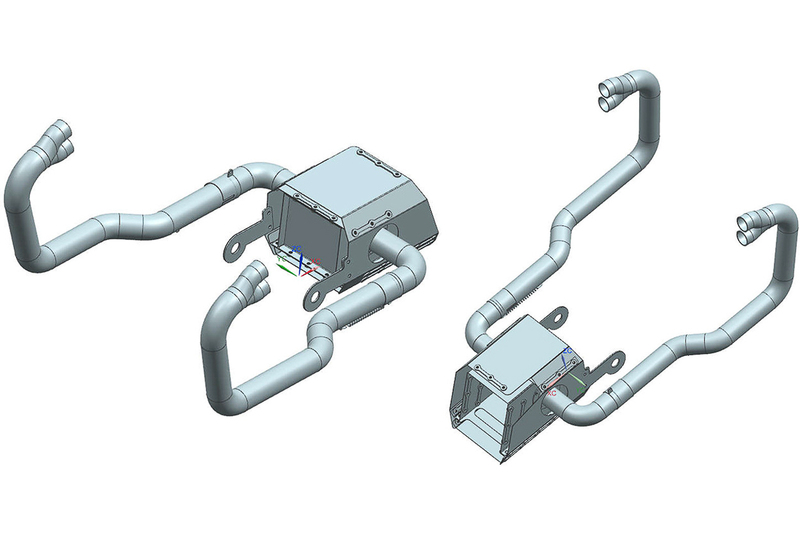 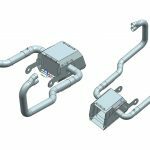 Our favourite custom piece has to be its complex exhaust system where it took Jack over five hours to install. 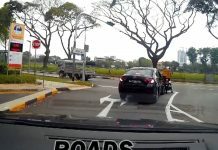 He also claimed that the noise it makes is ‘unique’. 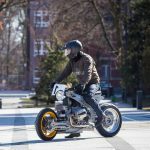 We could go on and on about how the bike is a prime example of a technological masterpiece in terms of design and functionality but we would rather you sit back and just soak in the genius that is the Watkins M001.